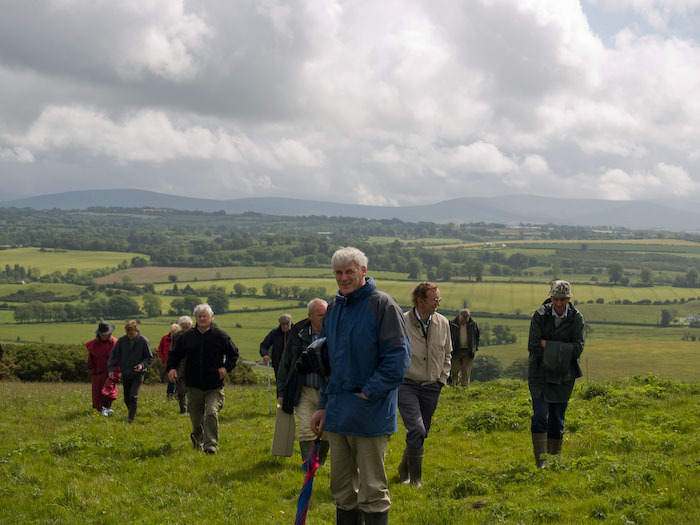 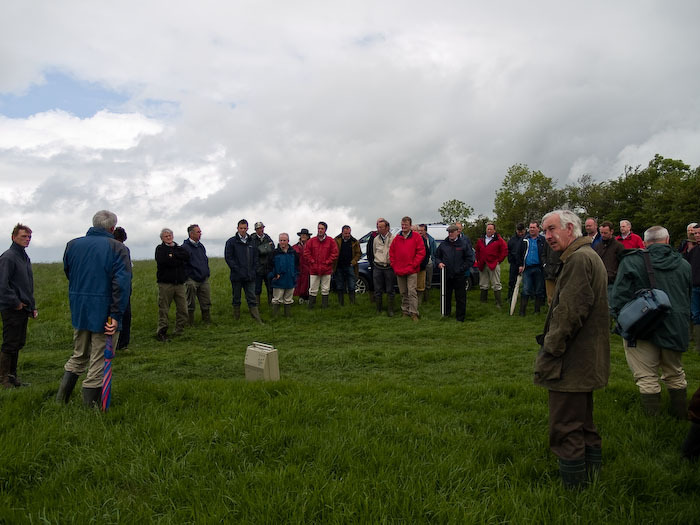 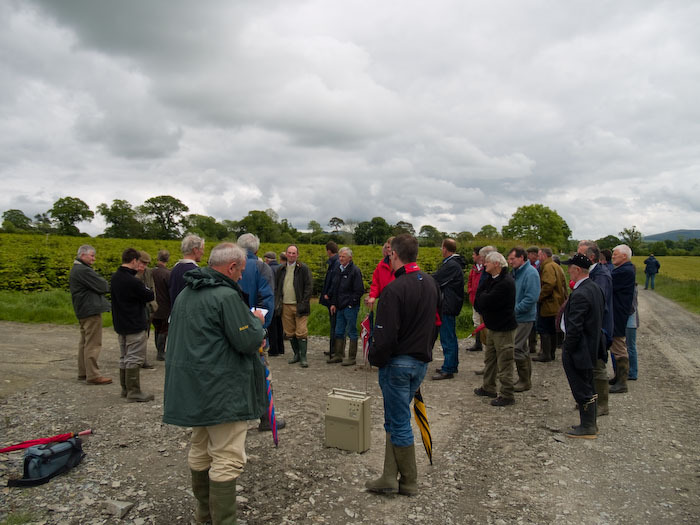 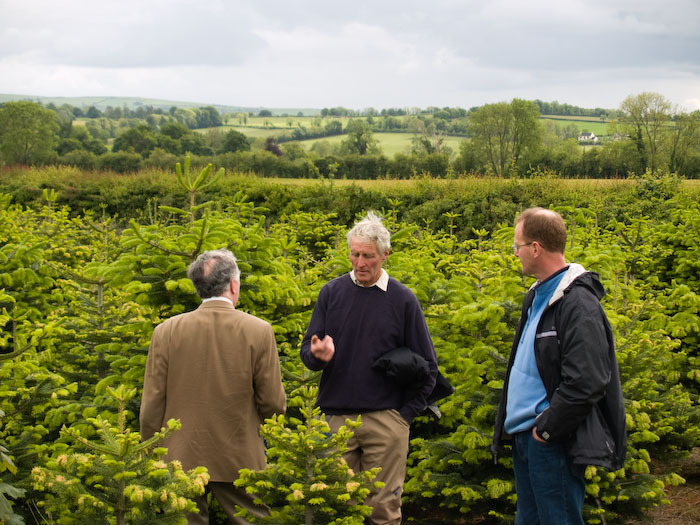 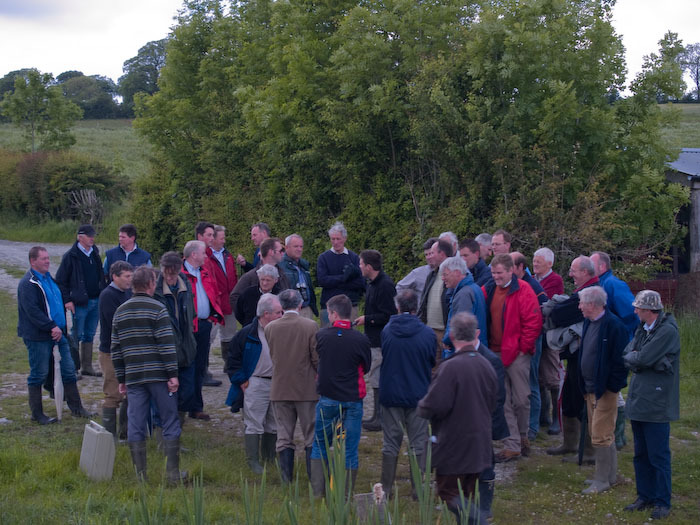 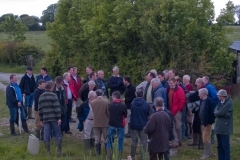 This years summer field meeting took place in West Wicklow, we were based for the day at Rathsallagh Golf Club near Dunlavin. 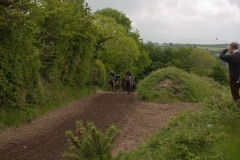 After morning coffee we to visit Tom and Francis Flood who are heavily involved in the race horse industry. 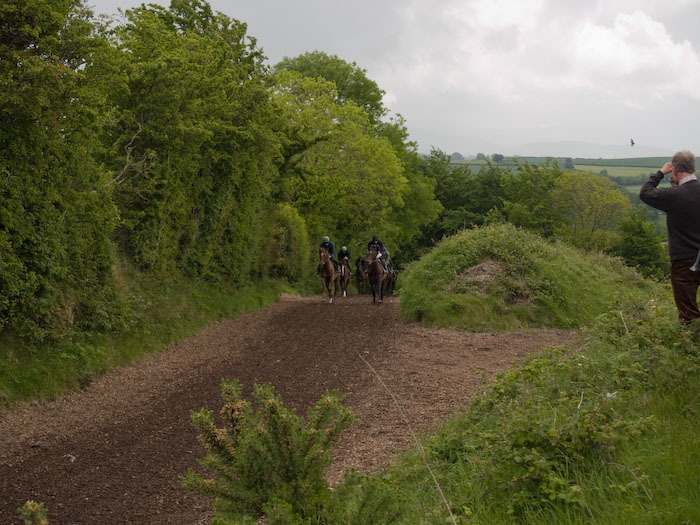 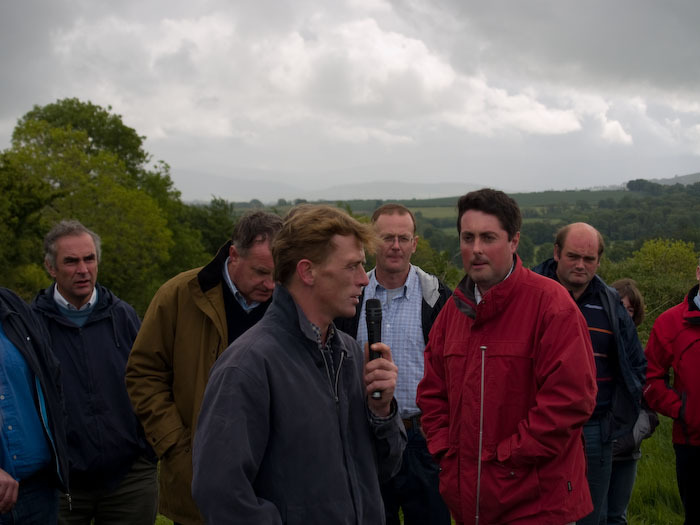 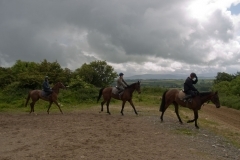 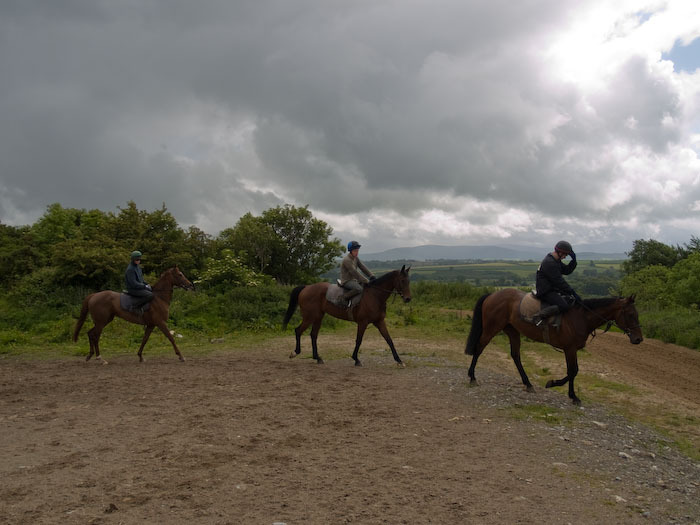 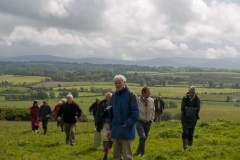 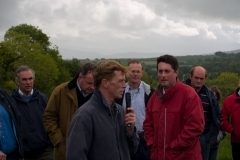 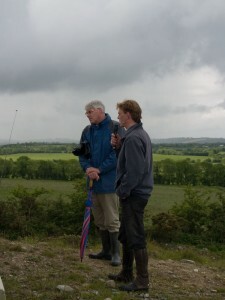 We saw their gallops and yard and had an entertaining discussion on the place of the racehorse industry in Co. Wicklow. 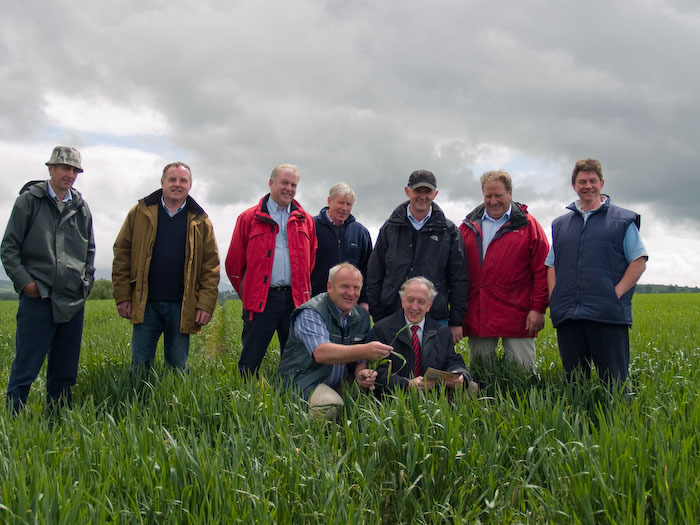 oats with much of the straw to a premium market among the local horse owners. 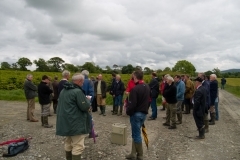 We then returned to Rathsallagh for an excellent lunch, afterwards John O’Flynn gave us a very entertaining talk on the history of the hotel and golf club . 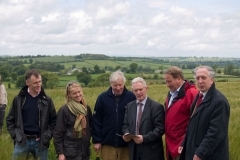 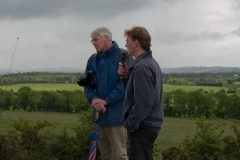 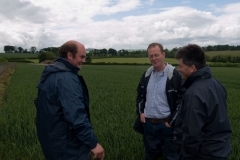 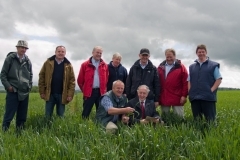 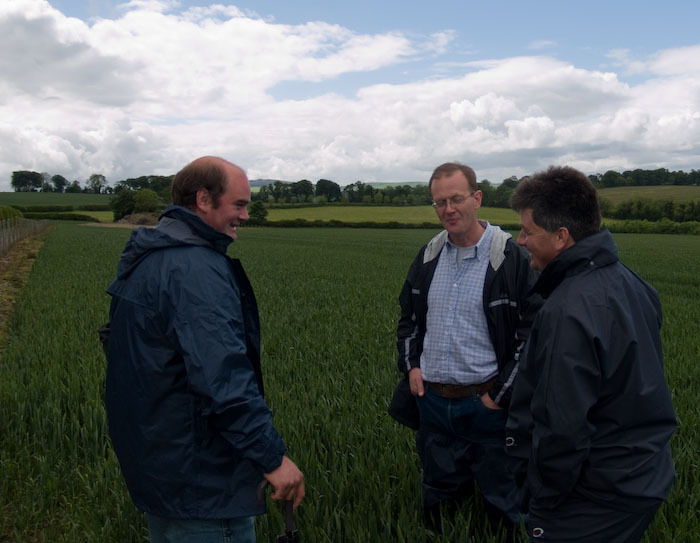 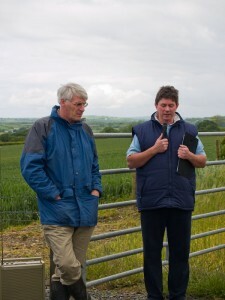 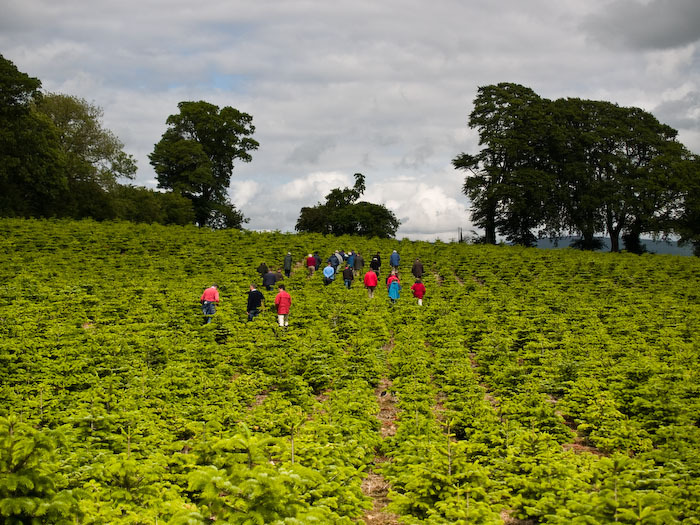 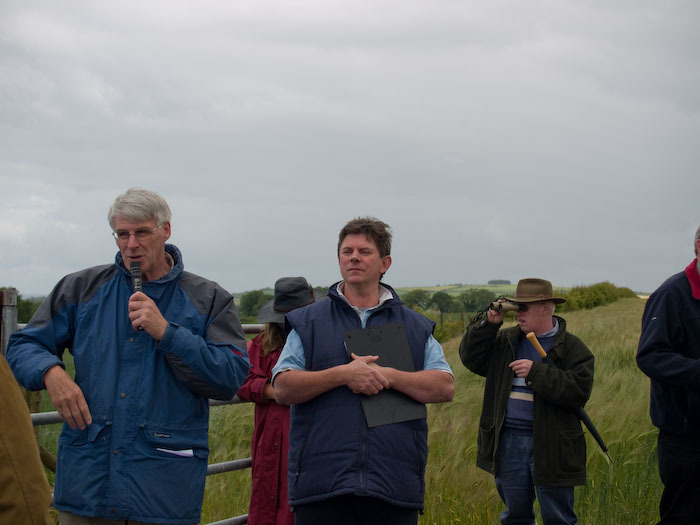 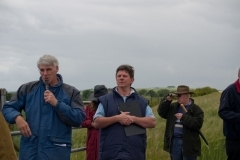 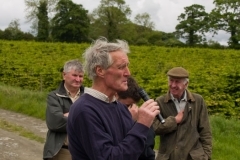 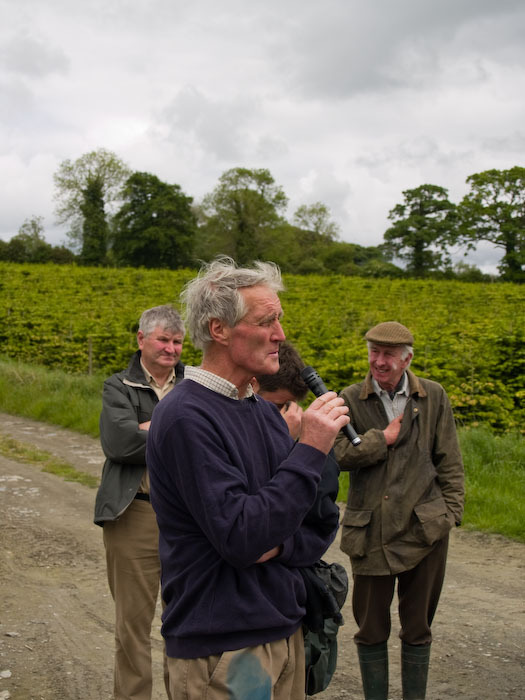 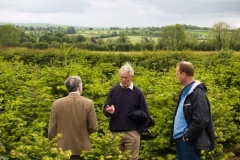 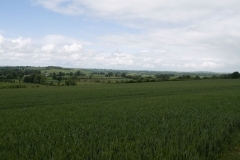 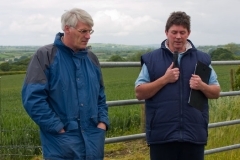 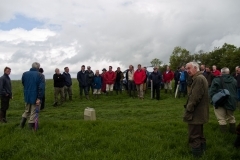 After lunch we viswited the farm of Richard and Dermot Page who have an crop mix. 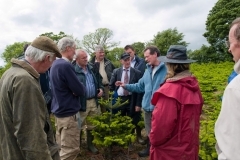 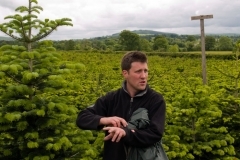 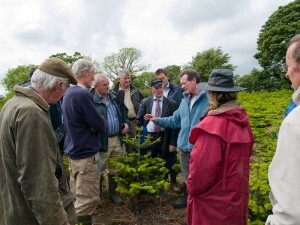 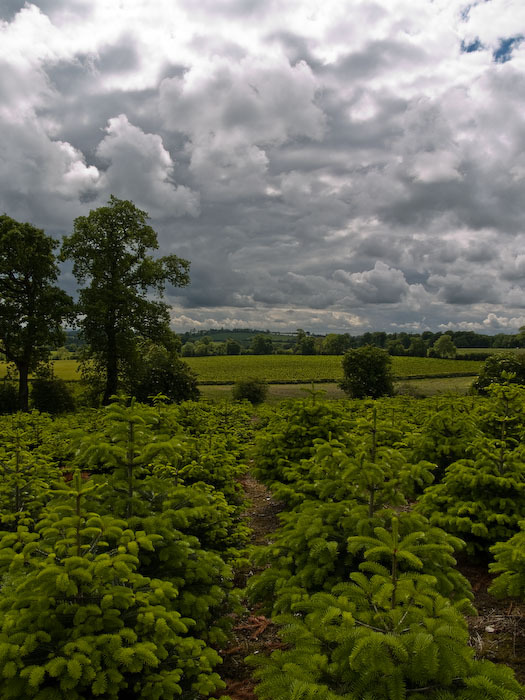 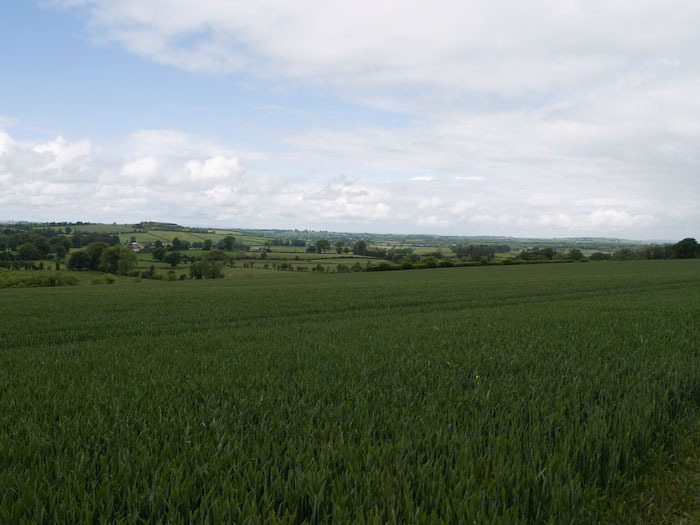 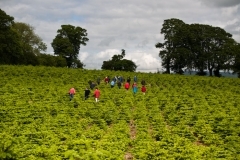 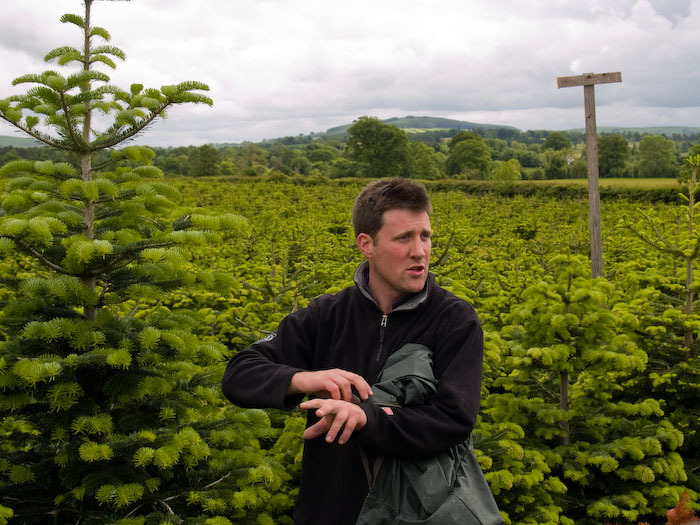 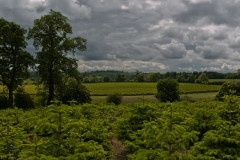 Their main crop is christmas trees and they also grow willow and spring barley. 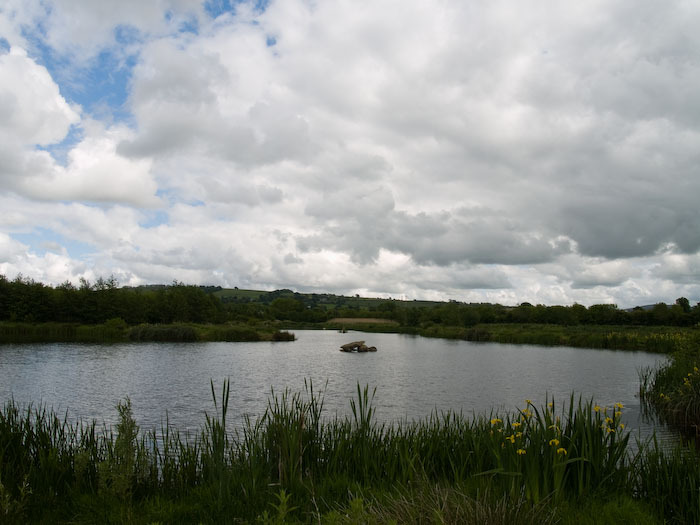 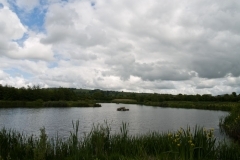 Their farm also features a fishing lake which is stocked with rainbow trout. 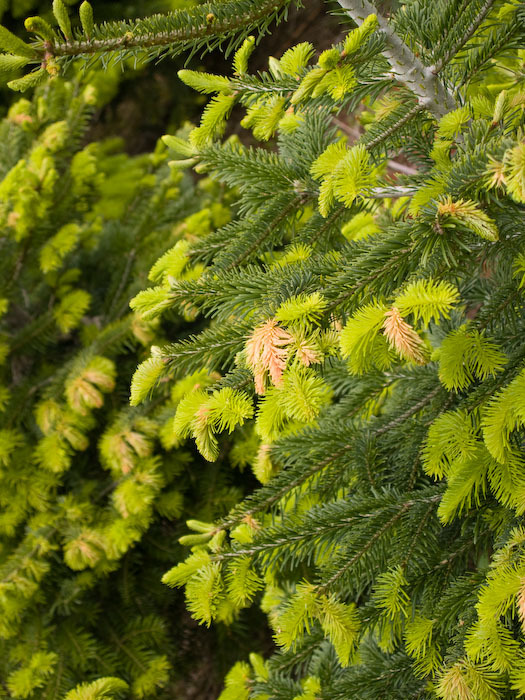 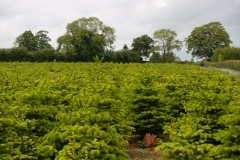 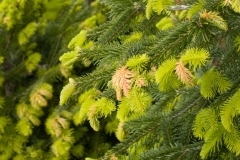 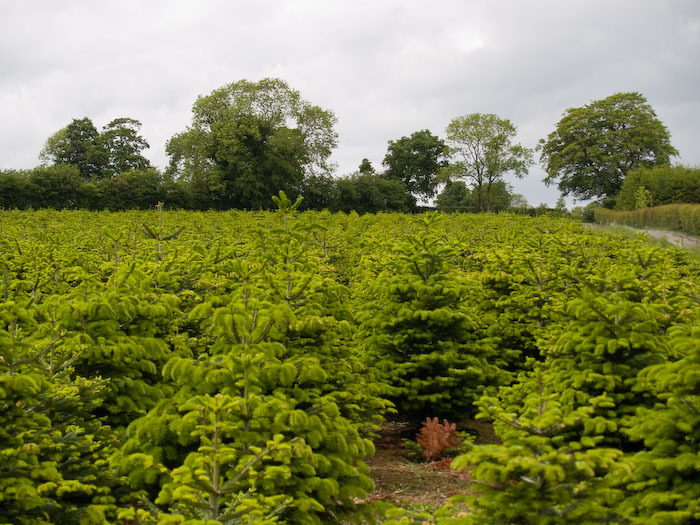 Two days before our visit the Page farm had experienced a severe late season frost which had damaged many of the Christmas trees especially those which would have been destined for this years market.